The Asec panic bolt set for single doors has a push bar on the inside of the door, the door has a bolt that locks into the top and the bottom securing it in place until the bar is pressed. When fitted correctly the device should allow exit to people even if they have no prior knowledge of how the lock works, i.e. they just push the bar. 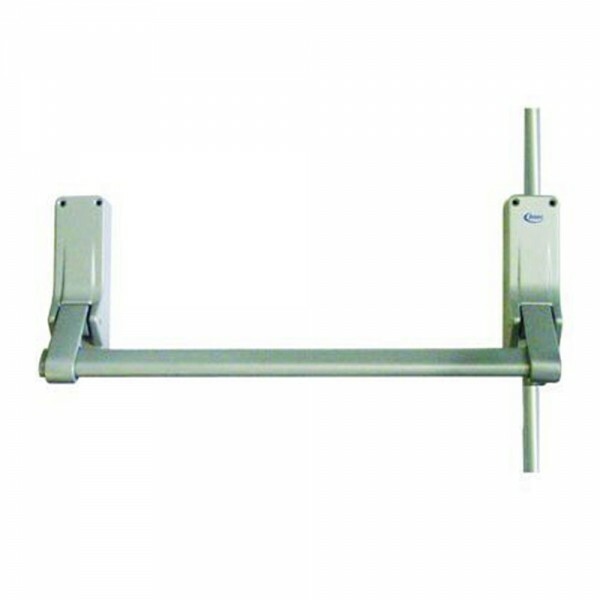 Anti-thrust latch, automatically deadlocks when the door is in the closed position.